The main feature is set up, you then have to control the content in your site. 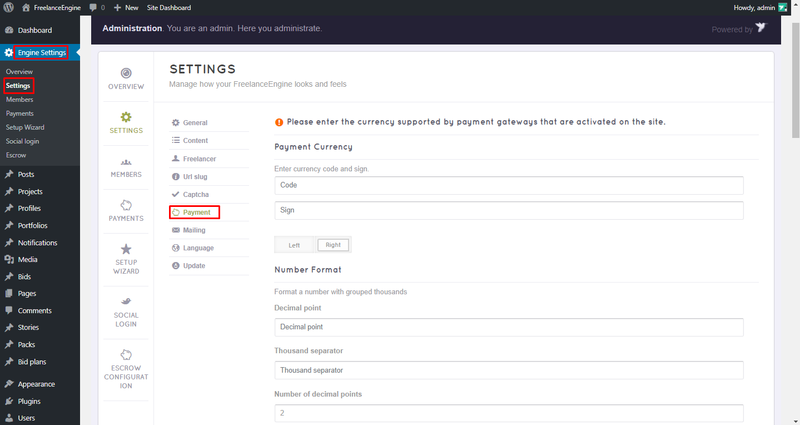 To control and manage the content being displayed on your site, you should pay attention to the two following options: Pending post and Disable comment. Choose Engine Settings > Settings > Content and you can access them. 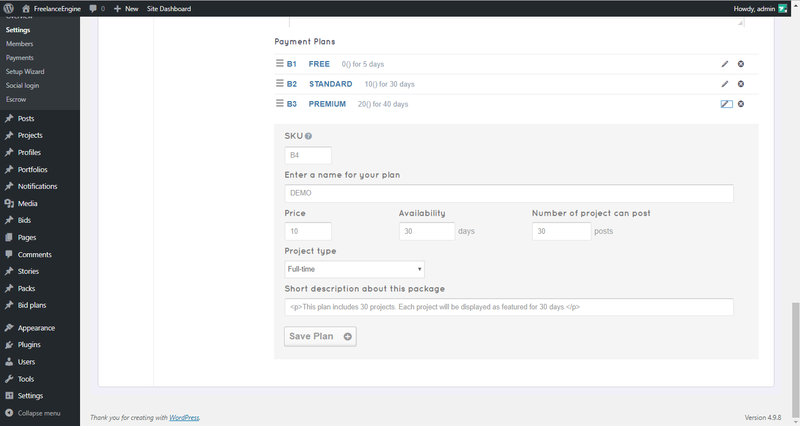 Just like how it named, the option prevents users from posting comment on the project page. Take a look at our demo site, you can easily see people moving at the header, all thanks to Video background feature. Video Background is an appearance – enhancement feature. With a video is played transparently on your homepage, it could attract more freelancers to your sites. This theme gives you 2 ways to add a video to your own. The first option is used if you are a developer, the second method is suitable for who wants to utilize this feature in the fastest and easiest way: just adding your Youtube ID for a sharing. Project demonstration: you can insert a simple text to describe the main purpose of the action “Post a project”, it’ll then appear in the header of the main page or list project page. 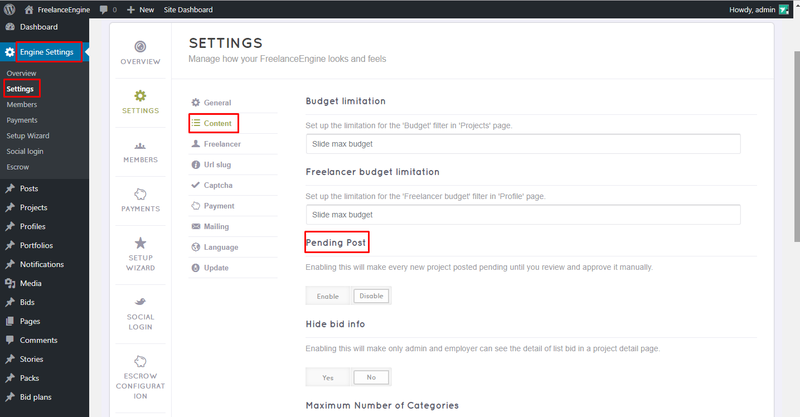 Profile demonstration: similar to the Project demonstration, this section allows you to describe the main of purpose of the action “Find a freelancer”. Video background URL: insert the URL so that it’ll be displayed in the header. Muted header video: Enabling this will mute the video sound on the header. Autoplay header video: Enabling this will make the video on the header automatically play. Loop header video: Enabling this will make the video on the header automatically repeated. Please go to Settings → Payment and modify like what you would like to be.